Cummins won the Allan Border medal for Australia's leading men's cricketer with 156 votes, six ahead of off-spinner Nathan Lyon. Melbourne: Fast bowler Pat Cummins won Australian cricket's highest individual honor on Monday for his performances during a year when the national team's results were overshadowed by bans for Steve Smith and David Warner following a ball-tampering scandal. Cummins won the Allan Border medal for Australia's leading men's cricketer with 156 votes, six ahead of off-spinner Nathan Lyon, who was voted Test cricket player of the year. Alyssa Healy won the Belinda Clark award for the leading Australian women's cricketer of the year. Cummins took 44 wickets at an average of 25.61 across all formats during the 12-month voting period, which did not include his man-of-the-series performance in the recent win over Sri Lanka. The 25-year-old Cummins, who took seven wickets on his Test debut as a teenager against South Africa in 2011 but didn't play another Test match until 2017, has moved to No. 2 in the international rankings for bowlers. He struggled with back injuries after making his international debut but since returning against India in 2017 has been a regular in the Australian Test lineup. He has 94 wickets in 20 Test matches as well as averaging 20.30 with the bat. "I've obviously had quite a few tough years with injury. I always thought Test cricket was the dream but wasn't sure I'd get up there and forge a consistent career," Cummins said. "I feel like every time I bowl, my rhythm just feels a little bit better." Cummins won maximum votes in the Cape Town Test last March, which was overshadowed by the ball-tampering scandal, and in the subsequent Test in Johannesburg where South Africa clinched the series with an emphatic win. 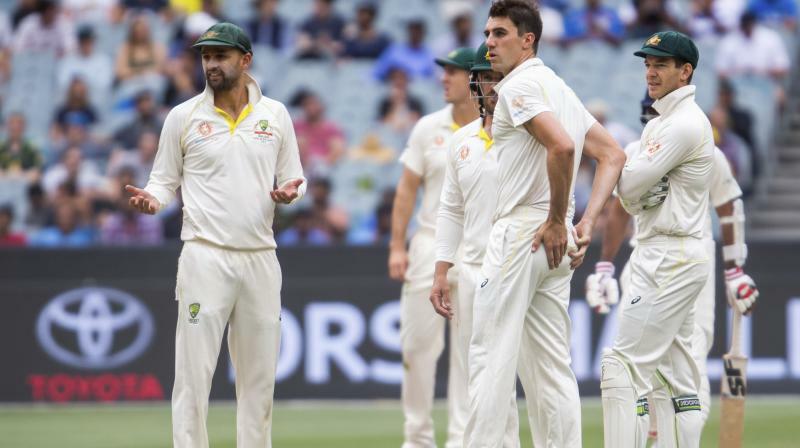 Smith and Warner were captain and vice-captain when they were suspended for 12 months for their parts in the plot to make one side of the ball rough so it would favor Australia's bowlers. Cameron Bancroft, who was banned for nine months for using sandpaper to try to change the condition of the ball, has returned to competitive cricket but was not at the awards ceremony. Smith and Warner, both two-time winners of the Allan Border medal, also did not attend. Healy won the top women's award with the one-day international and Twenty20 honors. She was voted player of the tournament when Australia won the women's Twenty20 World Cup in the Caribbean last year. RR vs MI: How’s the Jos?